Thank you to everyone who participated in our Rainbow is Magic GIF Contest! You all amazed us with your entries, but the 10 winners that were selected made GIFs that are truly magical. As you make the most of the last few days of Rainbow is Magic, enjoy some of the incredible #RainbowIsMagic fanart that has been shared with us. And keep sending us your fanart so we can add it to our collection! Check out the rundown of the Y4S1.3 patch notes from your Rainbow 6 Community Developer Karen. The Y4S1.3 patch is scheduled to release on April 16th for PC and April 17th for console. #R6Academy: How to Hold Stronger Angles - by @domnomnoml Calculate your angles better than Pythagoras. We will be performing a maintenance on PC today, April 16th. During the following times we will be deploying Y4S1.3 Patch. The Easter bunny has hidden a surprise for you! Start your egg hunt with the @UbisoftClub Challenge. Maverick’s getting ready to light up his birthday cake, so help wish him a Happy Birthday with the @UbisoftClub Challenge! Maverick’s searching for lobster in all the wrong places , but at least he looks good doing it. Get your own lobster with Maverick’s Glade Bundle. Patch Y4S1.3 is making its way to consoles today April 17th. Maintenance times: PS4: 9:00 EST / 13:00 UTC XboxOne: 10:00 EST / 14:00 UTC Expected downtime: 30 minutes. Learn how to tweak and set your perfect sensitivity by checking out our deep-dive into all the variables that determine weapon FOV and input sensitivity on PC. A cobra vai fumar. Make what was once impossible, possible with Caveira’s Scout Bundle. The MMR Roll Back system has been re-activated! 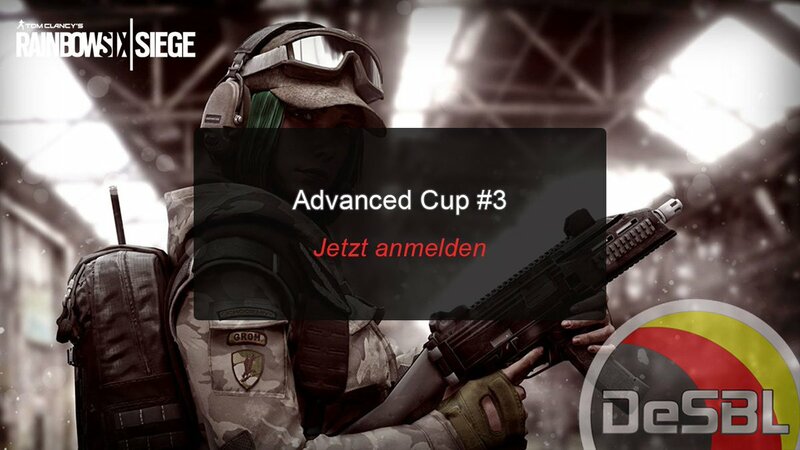 Es wird für den Platz in der nächsten Runde des Desbl-R6-Cup gespielt. Um 18:00 Uhr geht es los.